Model Railway Exhibition proves a success. 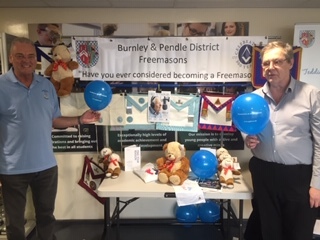 Following on from the Brierfield Model Railway club’s exhibition at Burnley Masonic Hall earlier in the year, the Burnley and Pendle District officers were delighted to be invited to set up a stall at the Model Railway Club’s premier event at Park High School, Colne, on Saturday and Sunday the 17thand 18thNovember. 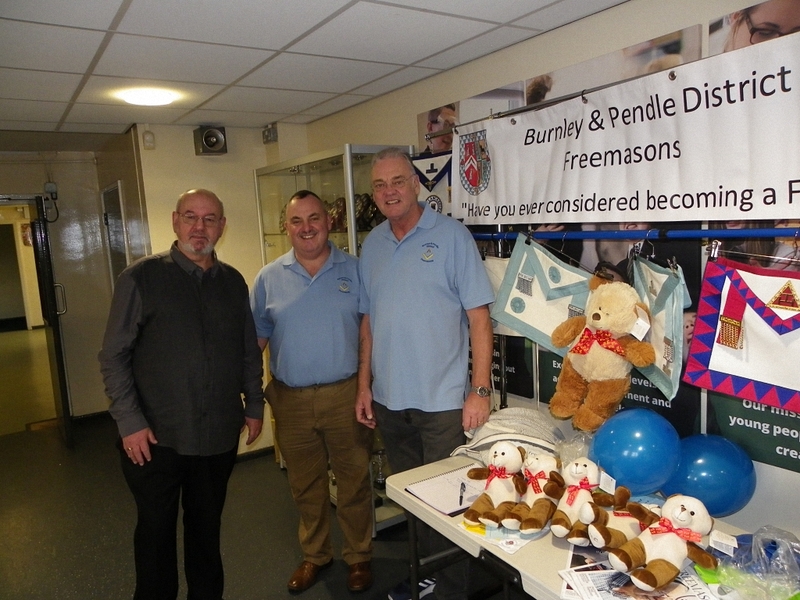 Set up in a prime location and manned by the District Chairman, Bob Allan and Deputy District Chairman, Walter Coupe, ably assisted by other District officers and Lodge membership officers, the stall certainly attracted a lot of interest with five serious enquiries about membership. A “Taster Evening” is being organised to give these Gentlemen an insight into Freemasonry. All in all a most successful event.